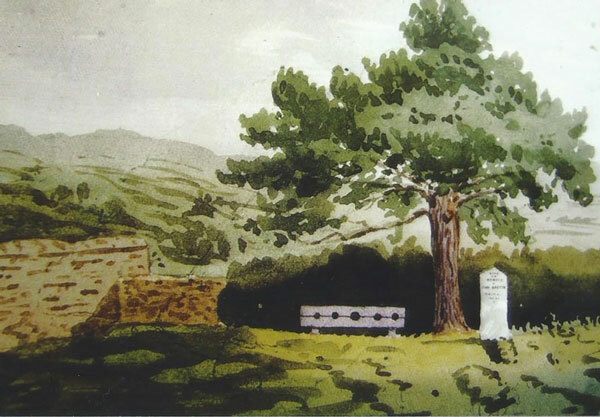 Churchyards are fascinating places for researchers of their family history and other visitors. 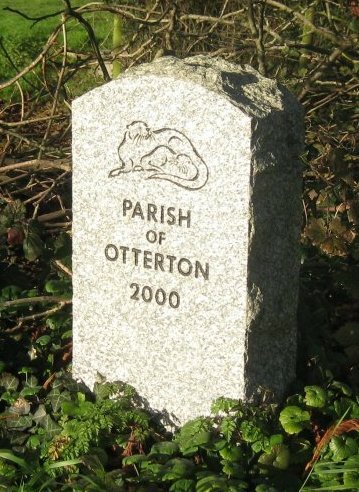 Otterton Churchyard is no exception. The original “yard” extended to the yew trees to the east. In the 19th.century, due to an increase to the population the Rolle Estates gave the church land to the east to Maunders Hill known as Folletts Piece to extend the “yard”. This area was filled by 1984 and a new cemetery was opened to the south, beyond the road. Sadly there are many burials in the yard which are unmarked, which makes those with chest tombs or headstones of greater interest . There are 14 listed (Grade 11*) headstones and 8 tombs. The latter are considered of such importance that some of them were rebuilt in 2001. The oldest headstone in the churchyard is of John Reede 1639 and his father John 1650. There are two naval officers, Lt. Henry Nowell died 1804 and Lt. William Nowell 1810. 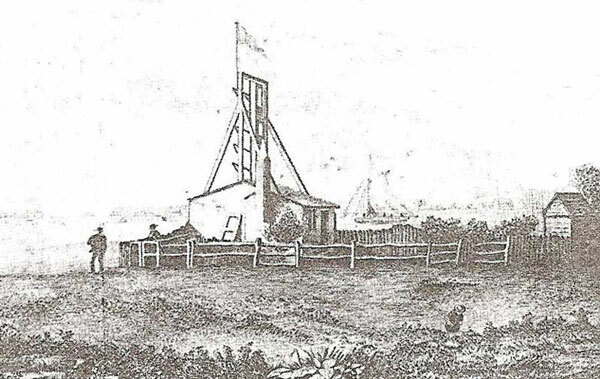 The latter was commander of the Naval Signal Station on Peak Hill during the Napoleonic War. John Green died 1687 – a shipwright. 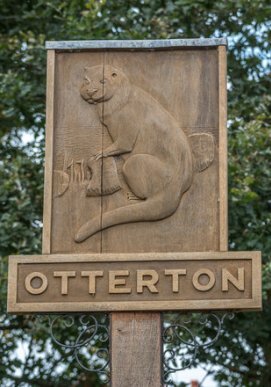 In 1619 there were 21 shipwrights building boats in the Parish – at Otterton Haven, an inlet off the River Otter near South Farm. 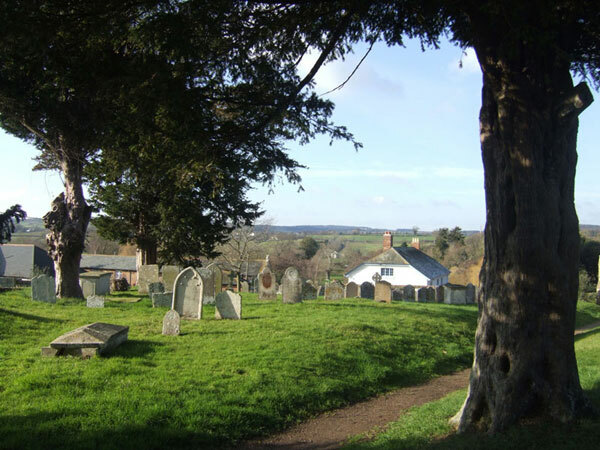 A number of Otterton people who were members of Salem Chapel, East Budleigh were buried in the “yard”, including the village blacksmith, William Rugg and his family. There is one headstone (No.375) so badly damaged that it only reveals that someone age 23 was drowned in “ye Great Flood” which may have been caused by the Great Gales of 1703. 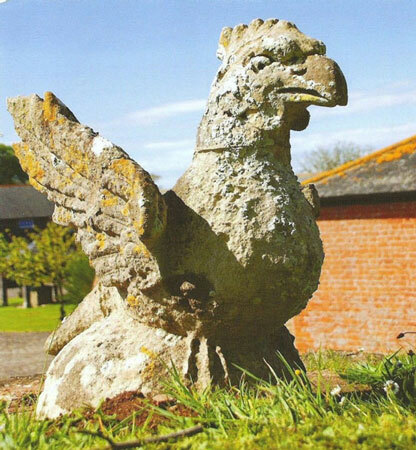 Also in the “yard” in the South West corner there is a sculpture of a wyvern which originally stood of the roof of a barn, now converted to houses in Rolle Barton. You will see copies standing on rooftops today. Another object that stood in the Churchyard in bygone days was the Village Stocks. Peter Orlando Hutchinson the noted Sidmouth historian and artist has left us with this painting. I have not yet seen any record of them being used.